Pondering what to do with all those old CDs stuffed in the back of your closet? If you're as talented as Australian artist Sean Avery, you could turn them into incredibly intricate animal sculptures. 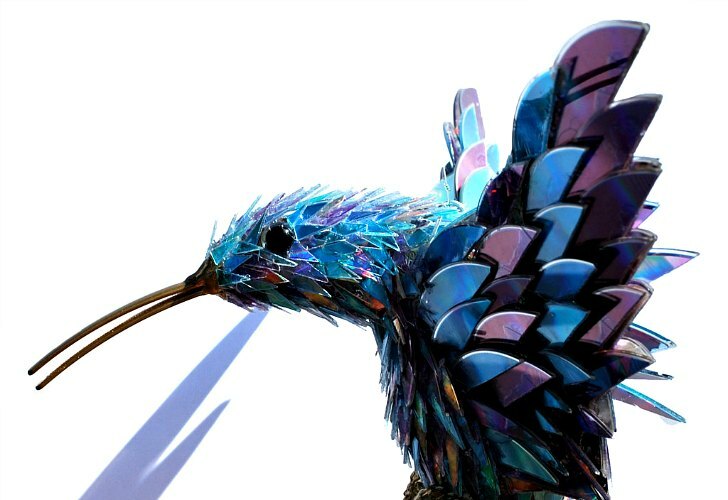 Avery, who is both a sculptor and an illustrator, takes old cds and shatters them to create these shimmering works of art. The CDs' naturally iridescent qualities make them a perfect medium for creating feathers and sleek and shiny fur. 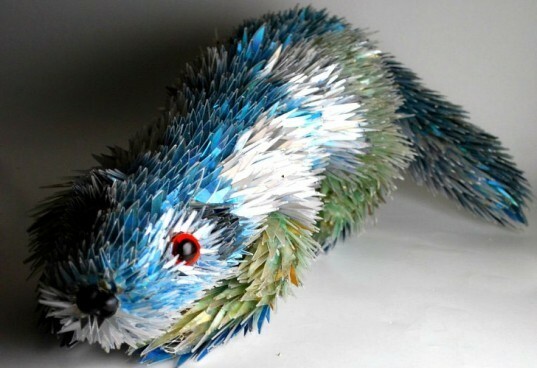 Sean Avery is a sculptor, illustrator and graphic designer with a penchant for using recycled materials to build awesome little animal sculptures. He only uses recycled materials and classifies his work as “sustainable art”. The nature of his process and the materials he uses ensures that each and every one of his pieces are completely unique. He makes use of mostly old cds and computer parts. To make the cd animals, he breaks apart old cds, which often shatter into shards or he cuts them into specific shapes that he wants. Then he painstakingly places each shard to create the animal. The iridescent shards shimmer in the light and strongly resemble feathers and fur. The result is something strangely organic with a distinct sense of movement. I realy need help with my art assignment and if anyone could please tell me the reasoning behind any of these it would help me alot. Thanks.